This entry was posted on September 25, 2008 at 2:38 pm and is filed under Thoughts & Musings. You can subscribe via RSS 2.0 feed to this post's comments. You can comment below, or link to this permanent URL from your own site. The orange & black will rise again! Mark my words. Now you’ll have to excuse me. Tommy Lasorda just downed an entire lasagna and forgot to chew. The guy needs my help. The orange & black will rise again. Mark my words! Now you’ll have to excuse me. Tommy Lasorda just downed an entire lasagna and he forgot to chew (again). The guy needs my help. I don’t doubt the Jints will be back to trample on our Dodger Blue dreams again one day. They’ve got a couple of the best young pitchers in baseball. Lincecum deserves the Cy Young this year (though he probably won’t get it) and Cain always seems to keep ’em in the game. But, man…the rest of that lineup stinks. I mean like dead fish stinks…really bad. Rowand and Molina and then…??? Believe it or not, I like it when the Giants are good. I believe the NL West should always be a battle between the Dodgers and Giants. 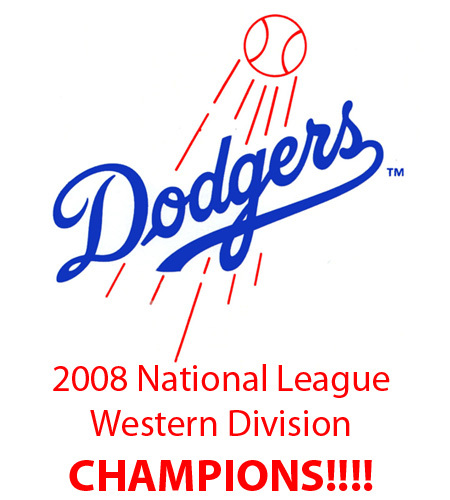 Sorry, D-Backs, Rockies and Padres just don’t have the same ring as Dodgers/Giants. You guys should finish second every year, that would be sweet. You can guess who I think should finish first.